2018 has been a busy and productive, if not momentous, year in the life of the Bertrand Russell Research Centre. The most significant development has been the movement of the BRRC from the ground floor of Mills library to magnificent new quarters across from one of the main entrances of McMaster University. The Bertrand Russell Archives have made the same journey and now occupy the ground floor of the same custom-converted, former residential building, with the BRRC located on the upper storey. The grand opening of the new Bertrand Russell Archives and Research Centre took place on 22 June. The event was presided over by the university president, Patrick Deane, and attended by McMaster staff, faculty, students and retirees. Russell scholars from around the world were also present as the opening ceremonies had been timed to coincide with the annual meeting of the Bertrand Russell Society, held at McMaster in 2018. The BRRC’s Ken Blackwell was presented with a special award in recognition of his half-century of service to the Russell Archives and Russell Studies. The BRS’s AGM took place over the weekend of 21–23 June, following immediately after the seventh annual conference of the Society for the Study of History of Analytic Philosophy (19–21 June). The Centre’s Nick Griffin was one of the keynote speakers at the SSHAP conference, with a talk entitled “Russell’s Book on the Elements of Logic”. Both conference programs, including abstracts of papers presented, can be viewed here and here. At the BRS meeting, the Russell Archives were named as recipients of the BRS’s annual award, to mark fifty years of dedicated custodianship of the Russell collection. Many other activities and events have been coordinated around this important half-centenary, “The Year of Russell”, by the BRRC and the McMaster University Library—not least the formal opening of the new building. The signal research contribution of the BRRC to these celebrations has been the preparation of a scholarly, digital edition of Russell’s prison correspondence from Brixton in 1918. For four-and-a-half months in the spring and summer, each of Russell’s letters—some officially sanctioned, but many more smuggled out of prison by his visitors—was released exactly 100 years after it was written. In addition to their work as editors on this project (along with Andy Bone and Nick Griffin), Sheila Turcon and Ken Blackwell prepared two commemorative publications themselves. 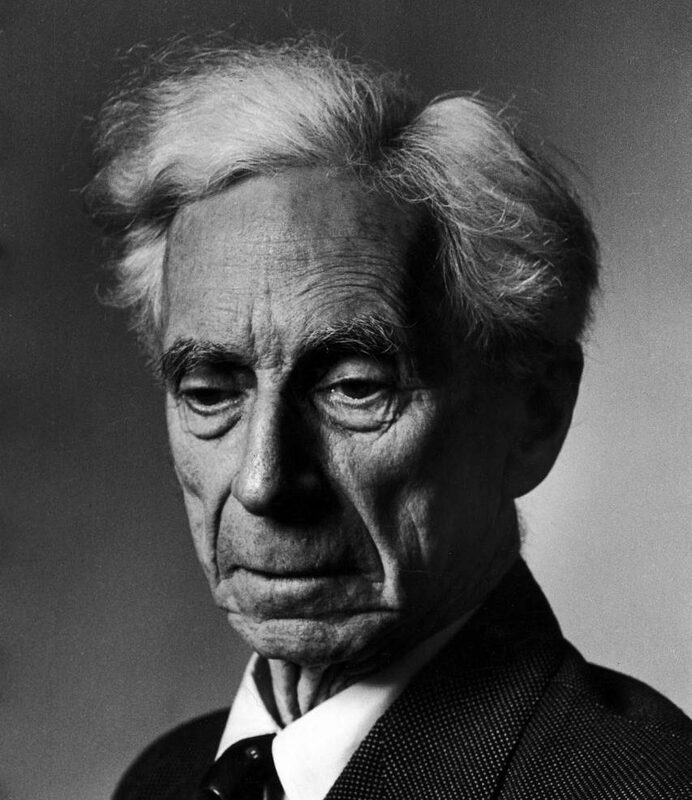 Sheila produced an illustrated edition of her work on Russell’s homes (The Homes of Bertrand Russell), while Ken edited a facsimile edition of Russell’s commonplace poetry book (“All the Poems We Have Most Enjoyed Together”: Bertrand Russell’s Commonplace Book). The William Ready Division of Archives and Research Collections curated a special exhibit of Russell documents, photographs, artwork and other artefacts, which will remain on display at the McMaster Museum of Art until 22 December 2018. The adjacent exhibition space is devoted to the “Bertrand Russell Reading Room”, an installation created by New Zealand-born artist Bruce Barber. On 18 September the artist participated in a panel at the museum with McMaster faculty members Virginia Aksan, James Ingram, and Neil McLaughlin, to discuss key political themes raised by the exhibit. In November Andy Bone and the library’s Myron Groover (one of the curators of the Museum exhibit) co-presented a talk at the Museum for McMaster alumni on the university’s purchase of the Russell Archives in 1968. In the spring a special “Russell” issue of Hamilton Arts & Letters was published online under the direction of guest editor Rick Stapleton, head of Archives and Research Collections at McMaster. The BRRC’s Carl Spadoni as well as Ken Blackwell, Andy Bone, Nick Griffin, and Sheila Turcon all contributed to the issue in question, entitled “Three Passions”. Rick has also been preparing “Dear Bertie”, a digital edition of letters from some of Russell’s more notable correspondents: from Wittgenstein to Wodehouse. On 22 September the 2018 Bertrand Russell Peace Lecture was presented by Dr. Andrew Bacevich, Professor Emeritus of International Relations and History at Boston University. Entitled “What Hath Trump Wrought?”, the lecture examined the significance of the Trump presidency from the conservative perspective of a longstanding critic of American foreign policy. The previous day (21 September), International Peace Day, Dr. Bacevich participated in a panel discussion of current prospects for peace. The most recent Russell is the summer 2018 issue, which includes Russell’s letters from his 1931 lecture tour of the United States (edited by Michael Stevenson and Sarah-Jane Brown), and Zhou and Linsky on Russell’s logic lectures in China in 1921. The previous issue (winter 2017–18) featured Ruth Derham on Frank Russell and Greg Landini on the Russell–Newman controversy. The Spring 2018 issue of the Bertrand Russell Society Bulletin (edited by William Bruneau) included the BRRC’s Andy Bone on Russell and The Jewish Daily Forward, while Sheila Turcon’s continuing series on Russell’s homes examined Brabaham Rd, Cambridge; Dorset House, London; and Penralltgoch, North Wales. A major new collection of essays on Russell has just been published: Russell Wahl, ed., The Bloomsbury Companion to Bertrand Russell (New York and London: Bloomsbury Publishing, 1918. Pp. 320. ISBN-13: 978-1474278058). For a more complete listing of other recent publications of note in the field of Russell studies—with bibliographical details and including the “fiftieth anniversary” print and digital projects discussed above—along with forthcoming titles, see here. The student research assistants at the BRRC at present are Jaskaran Basuita and Marley Beach. Many thanks to Geneva Gillis and Graeme Lavender for their recent and valuable contributions to work in progress, especially on the Brixton Letters project.